Another real breakthrough from Blackmagic. Preview SD, HD and UltraHD feeds, with windows configured to a layout of your choice. High quality at a stunningly low price. Blackmagic MultiView 16 is the world's first multi viewer that operates natively in Ultra HD, which allows you to use an Ultra HD monitor or television for twice the image sharpness, even if you are not even using Ultra HD in your facility yet. 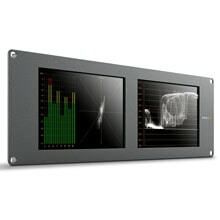 Now you can connect up to 16 different SD, HD and Ultra HD SDI sources into one display for monitoring. 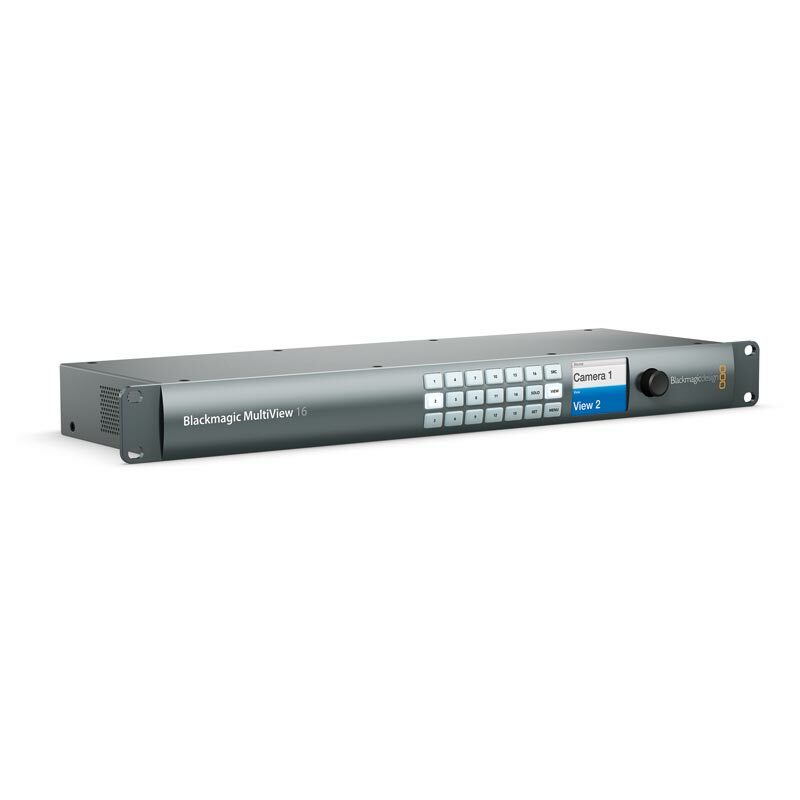 Blackmagic MultiView 16 allows 4, 9 or 16 views to be selected and each input includes a full frame re-synchronizer so you can have any combination of SD, HD and Ultra HD SDI sources connected, all at the same time. With the availability of Ultra HD consumer televisions, now it's possible to use the extra resolution these displays have to build incredibly sharp multi view monitoring at low cost. Imagine having big screen televisions in your facility with high resolution monitoring of each view. That's twice the resolution of a normal multi view. Blackmagic MultiView 16 is incredibly flexible as it allows you to choose from 2x2 layout for 4 sources, 3x3 layout for 9 sources and 4x4 layout for 16 simultaneous sources, all from the front panel. Each of the inputs can be any combination of SD, HD and Ultra HD, all at the same time so it's just like having 16 independent broadcast monitors on the single display. 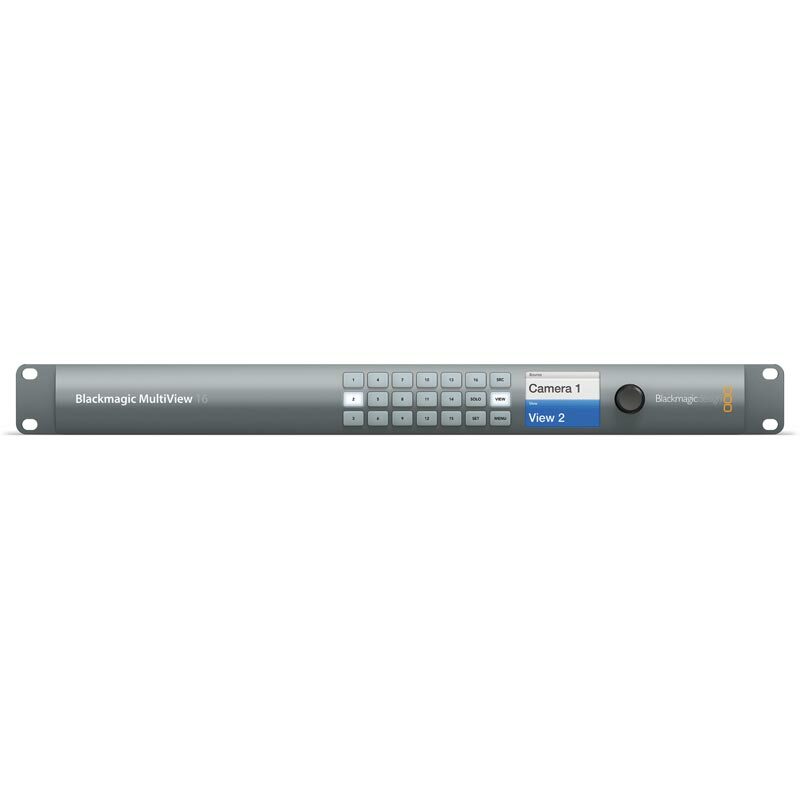 Multi view monitoring is ideal whether you're building a massive control room with lots of incoming feeds or are working on location in tight spaces that don't have room for multiple monitors. 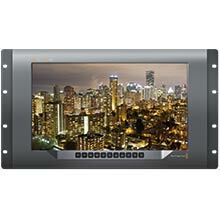 Blackmagic MultiView 16 can be used for live production, on set, in control rooms, post facilities and more. With Blackmagic MultiView 16 you don't need to connect multiple monitors, dozens of cables or run extra power to see all of your video sources. 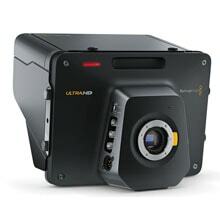 Simply plug your cameras, decks, switchers, routers and feeds into the SDI connections and you can see everything with amazing clarity and detail on a single Ultra HD monitor. MultiView 16 works with both regular HD as well as the latest Ultra HD displays, so you get maximum compatibility with your existing HD equipment but have the choice to use an Ultra HD monitor for incredible sharpness. That's four times the number of pixels in each view so your video will look sharper and clearer than ever before possible. Using an Ultra HD monitor means you get an incredible 1920 x 1080 full resolution HD in each view when running 2x2 for 4 views. Even if you're running 4x4 for 16 views, each view will still display an amazing 960 x 540 pixels. 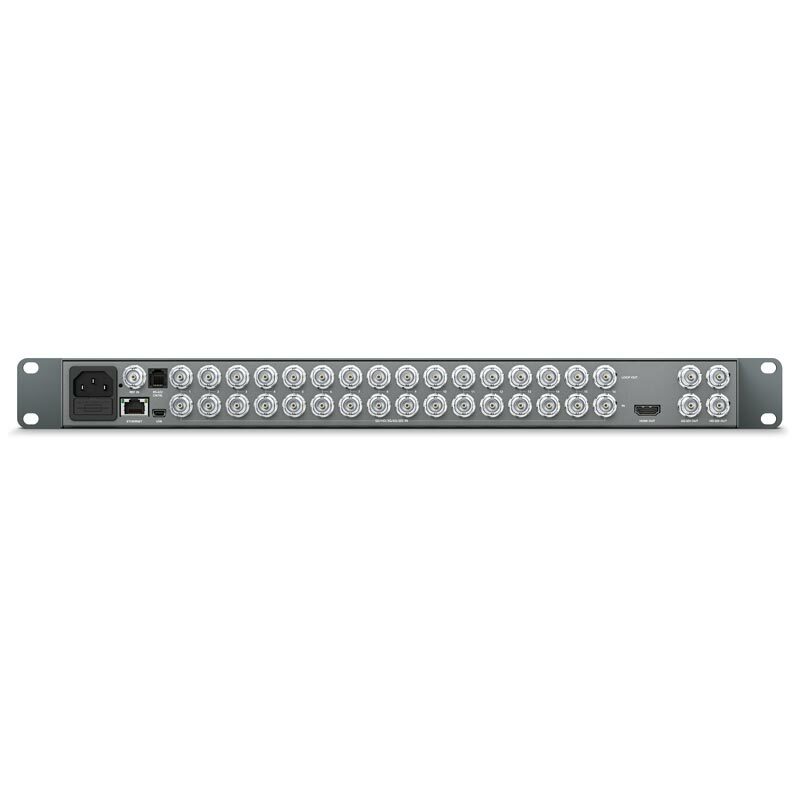 You get both 6G-SDI and HDMI outputs so you can connect direct to televisions, video projectors and broadcast monitors.